You might think that all plow trucks are the same. They’re not. Technology has become more sophisticated over the years, and yet sometimes the old methods and build structure worked better than some of today's. 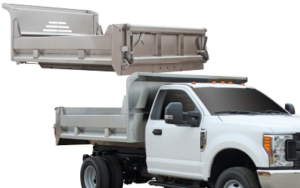 Towmaster® combines what worked well in the past with today’s technology and our renowned quality to build our EDGE® truck bodies. Then we match high-tech, high-quality brand name components to build a truck to your specifications. All this adds up to a longer lasting and more dependable truck and a better investment for your municipality; an investment you can see. For more information on what differentiates Towmaster from the competition, click here. 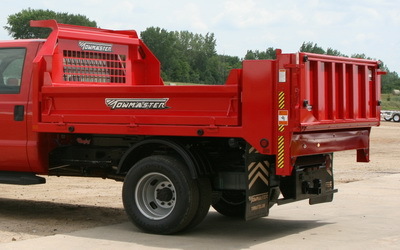 Towmaster’s EDGE series truck bodies are available in several configurations to suit your needs. 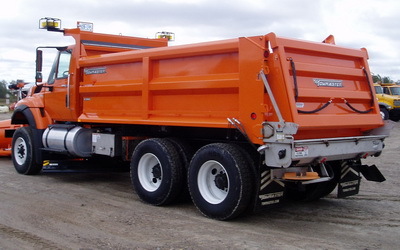 Whether you need stainless steel, Hardox® carbon steel, square, elliptical (radius), single axle or tandem axle bodies, Towmaster’s EDGE has you covered. Elliptical bodies offer radius sides so material or odd-shaped items “self-center” in the box. The shape strengthens the body, reducing the material required allowing the body to be lighter than traditional square bodies. Click here for details. The wide flat box floor accommodates wider implements easier and makes it easy for loaders and backhoes to work within the box. The square body also covers the wheels so additional fenders are not required. Click here for details. The features you want with the quality you expect, Towmaster Edge Series Contractor Bodies are durable and light-weight. Click here for more details. 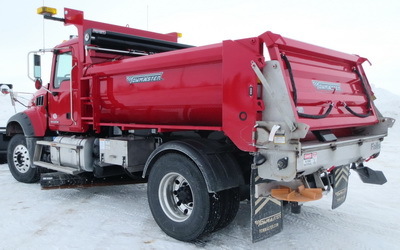 Towmaster's Edge MT35 municipal dump body is a tremendous value while offering great features. Click here for more details.